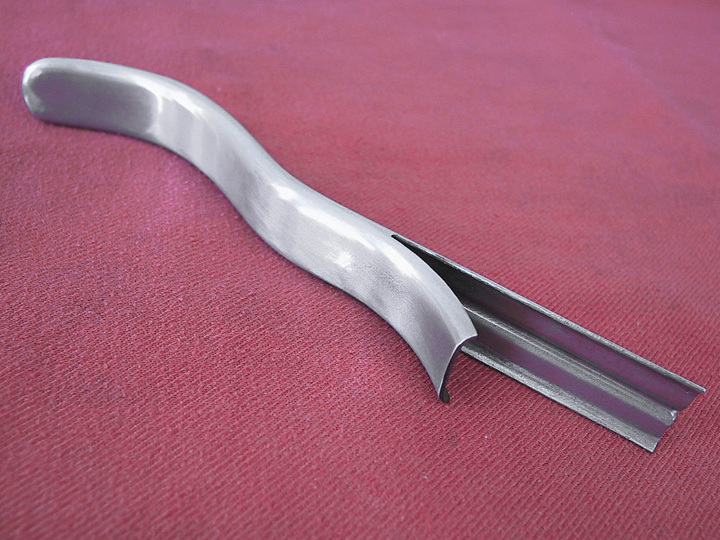 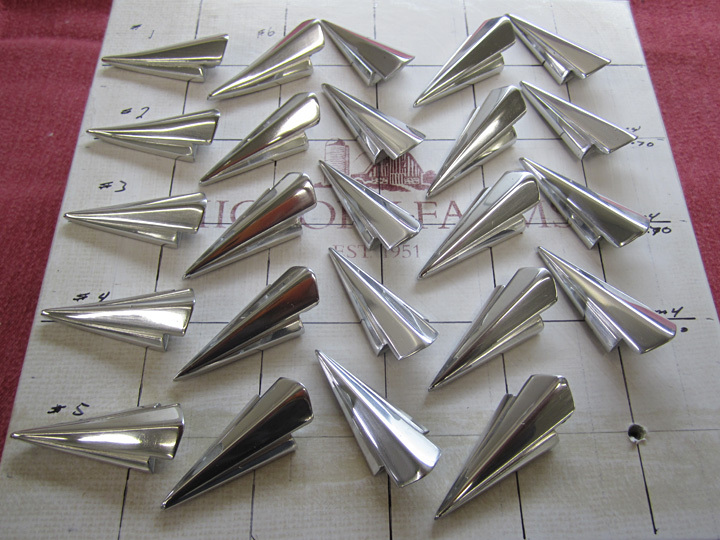 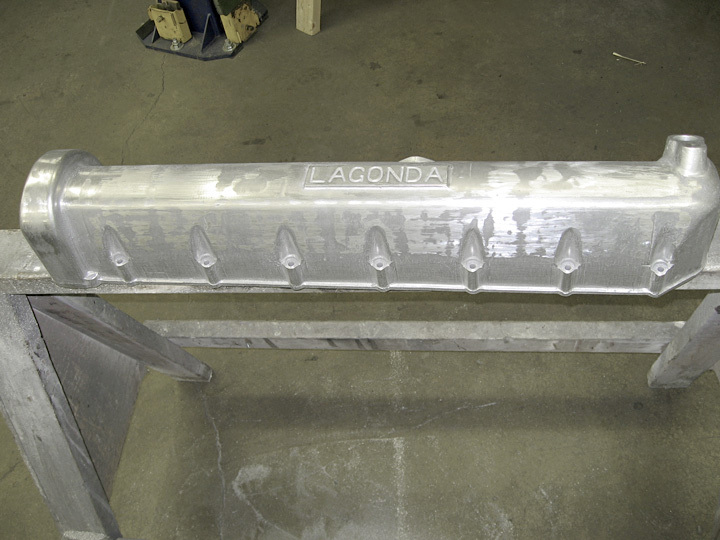 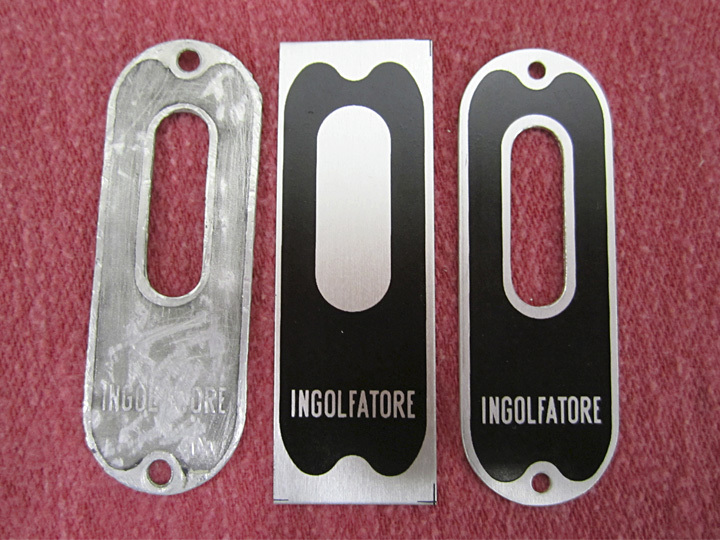 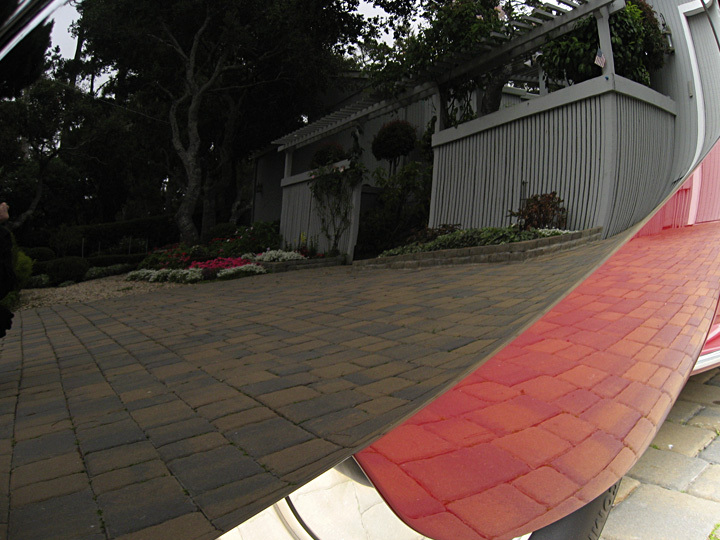 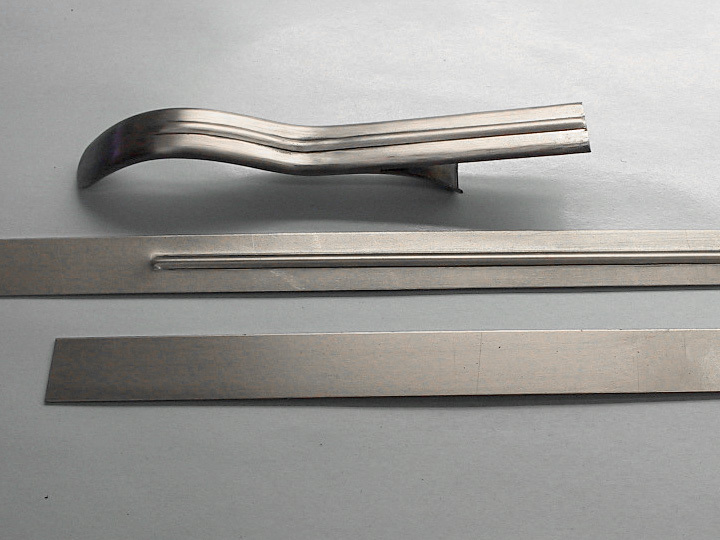 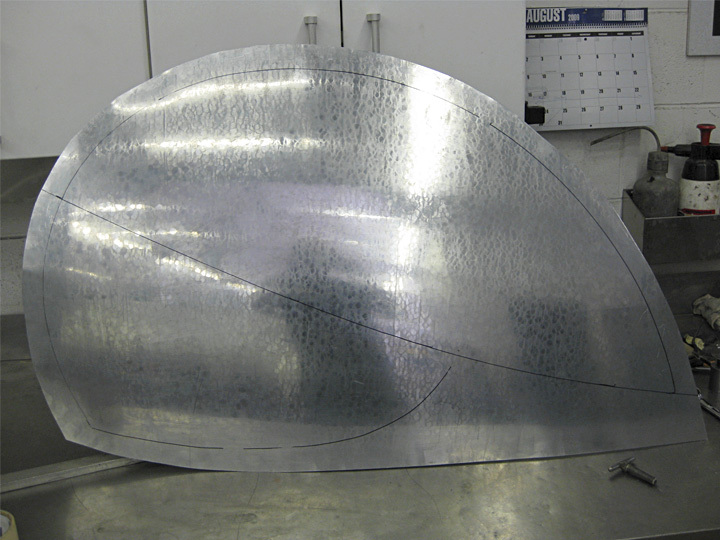 Sheet Metal — From small patches to complete bodies, working in aluminum, steel and brass. 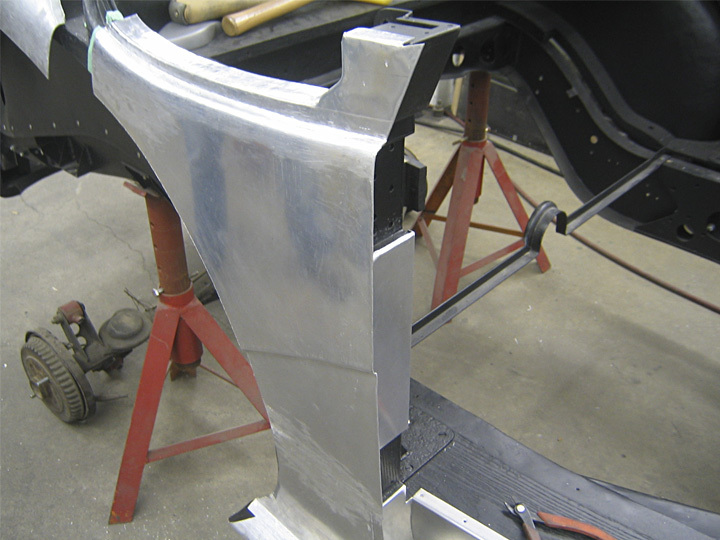 With all of the necessary tools including an English wheel, power hammer and a Pullmax, with a full understanding in the art of metalshaping, there is nothing that we cannot create. 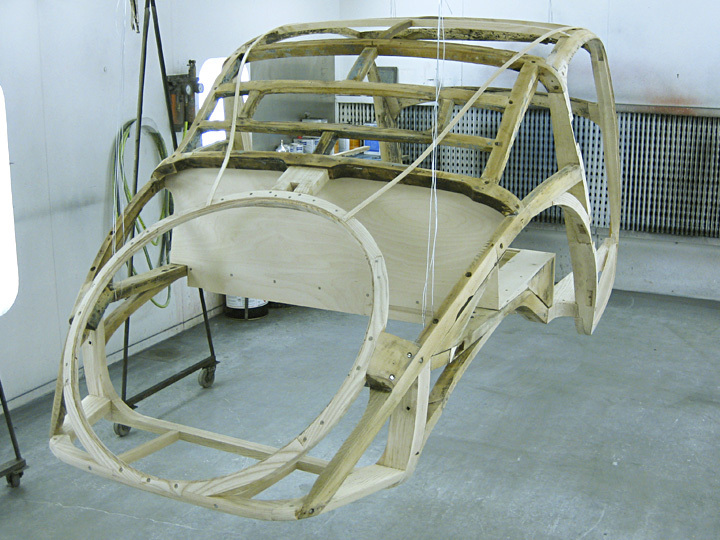 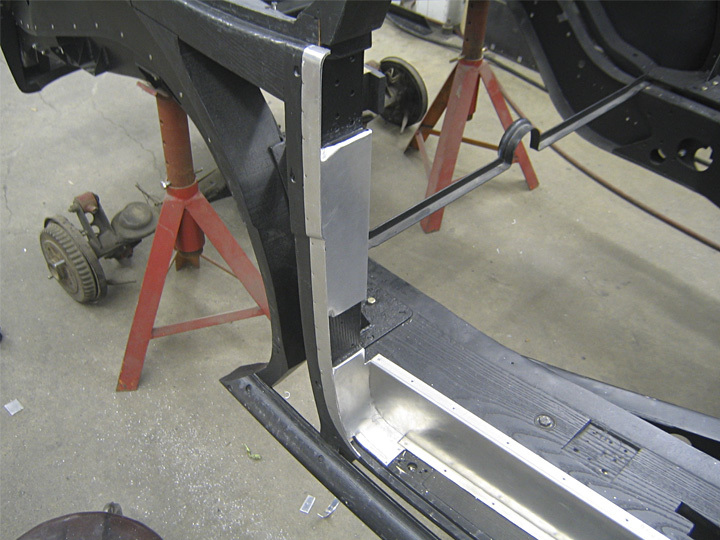 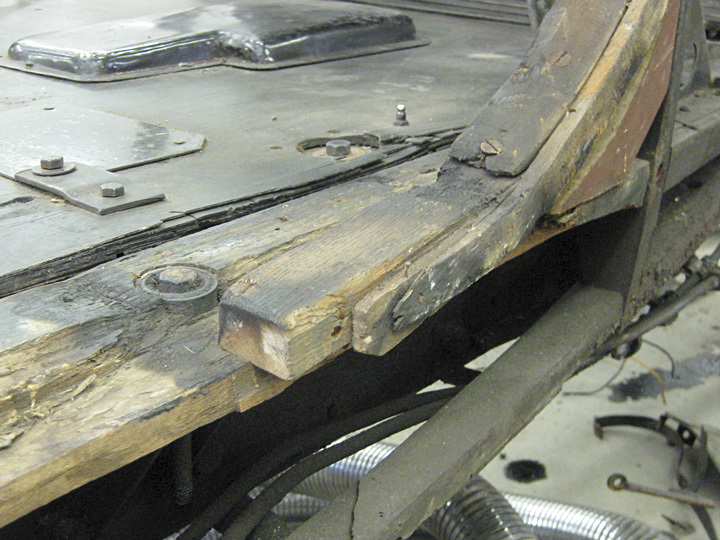 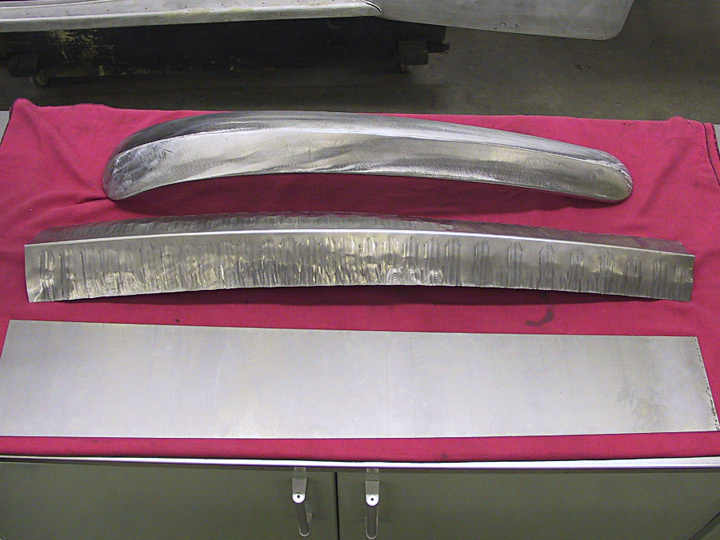 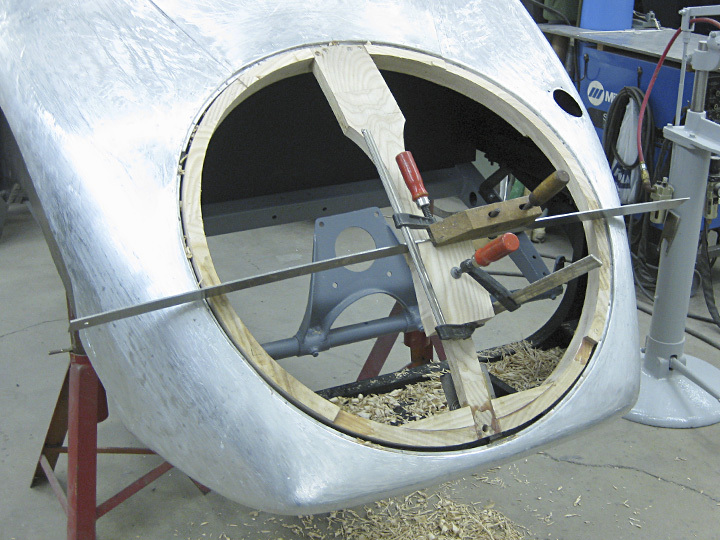 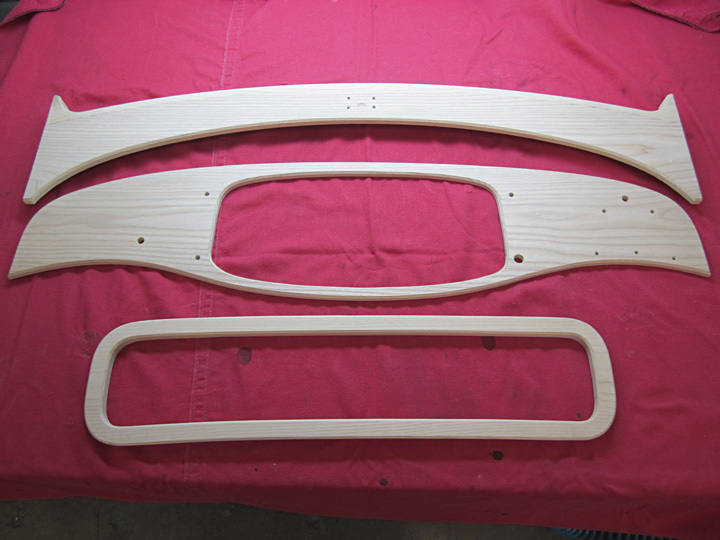 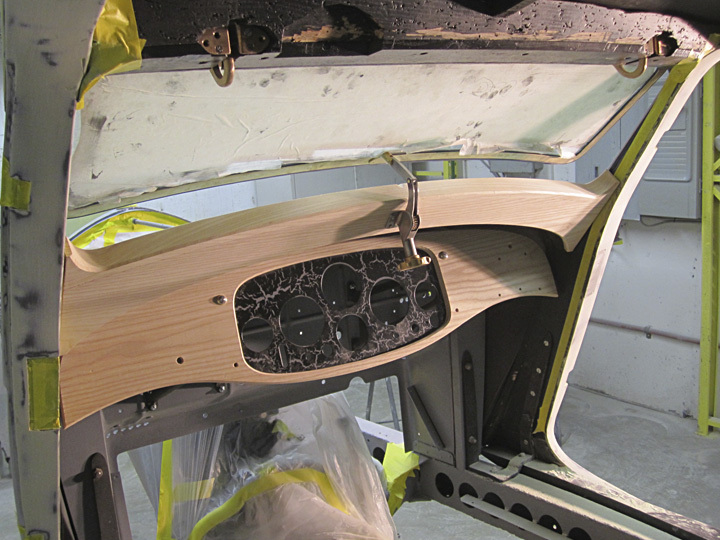 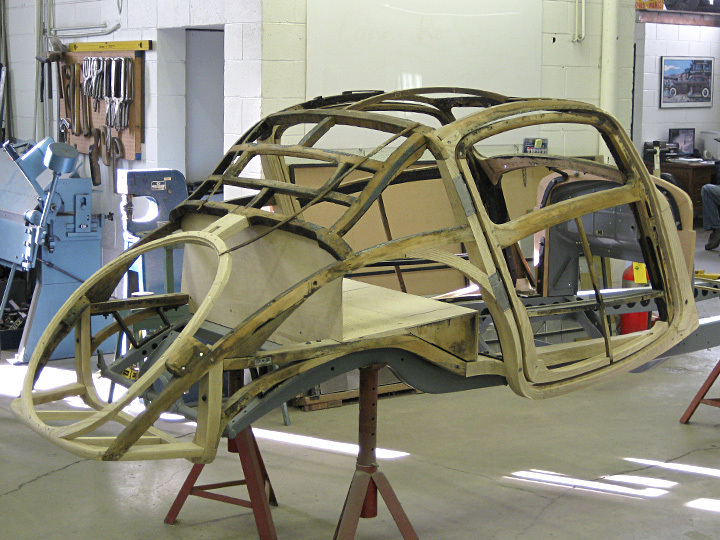 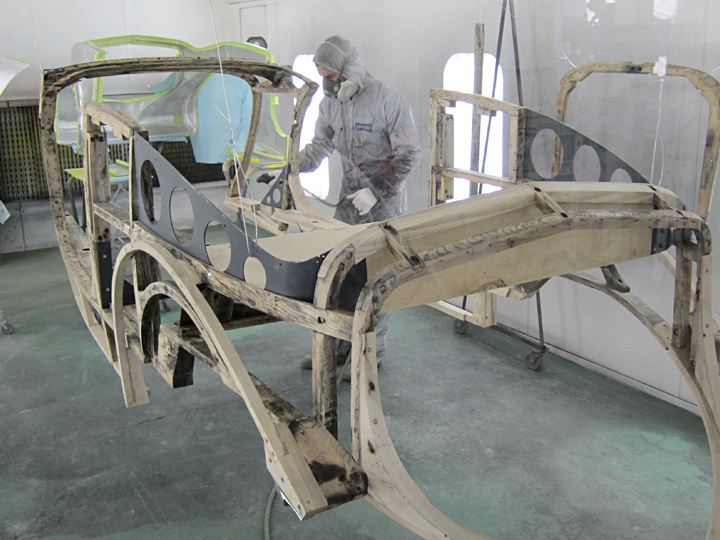 Wood Framing — This important element of many vintage cars is dealt with by the same person doing the sheet metal that is covering it, ensuring that the shape and fit are perfect. 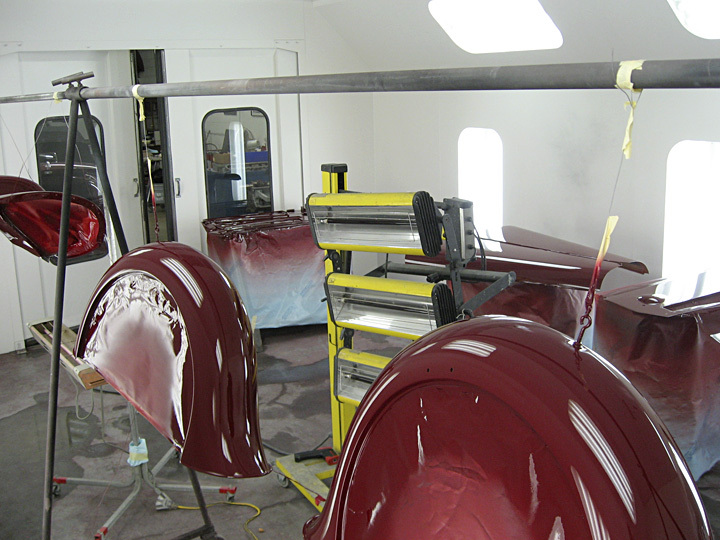 Paint & Prep. 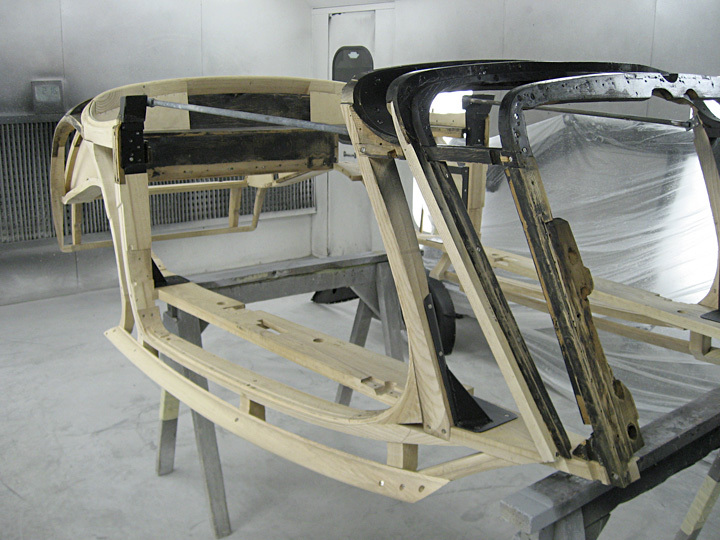 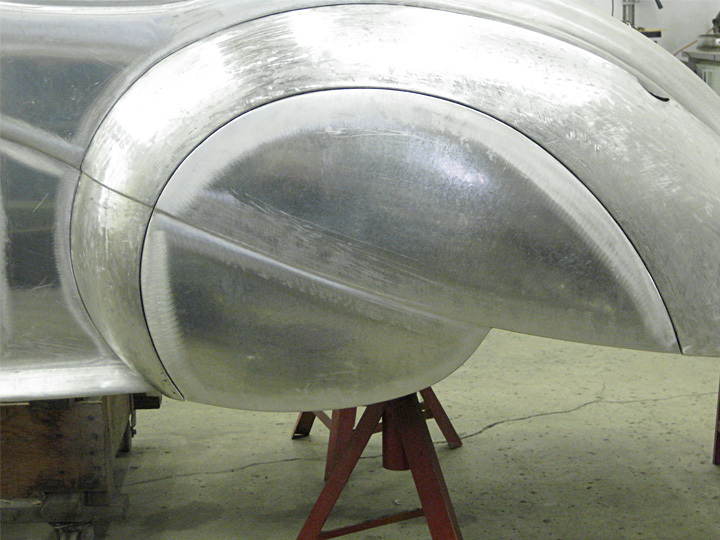 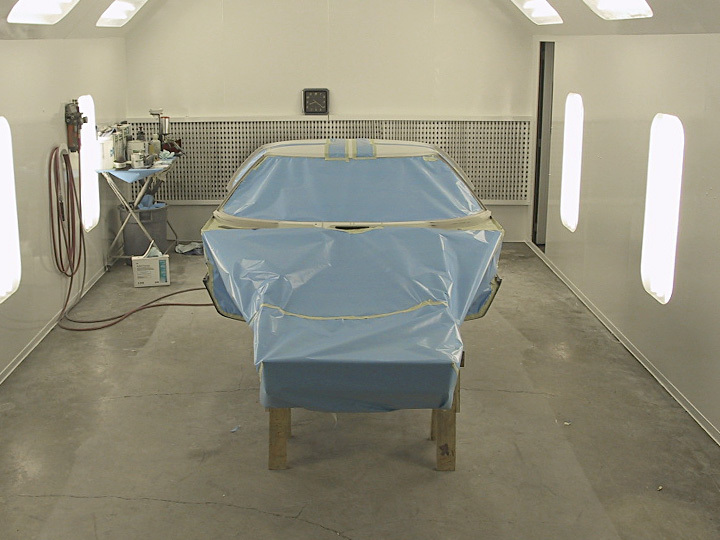 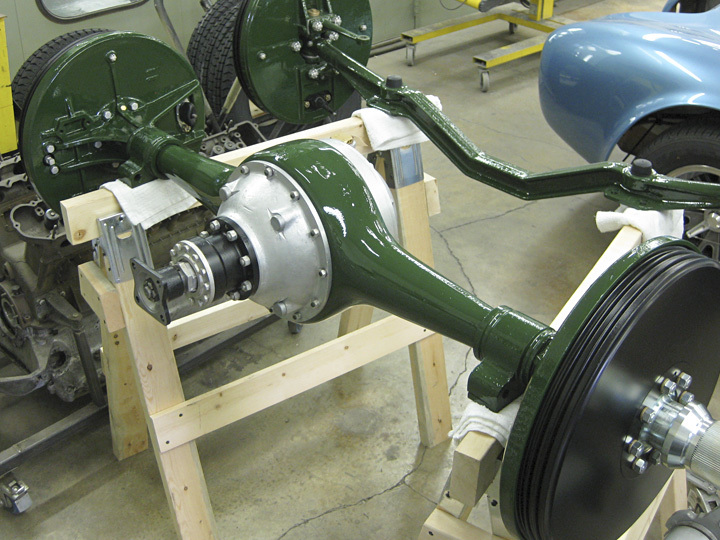 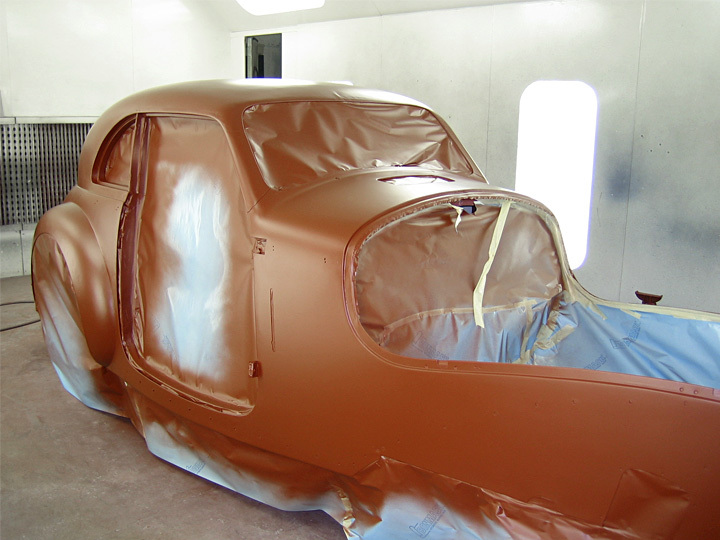 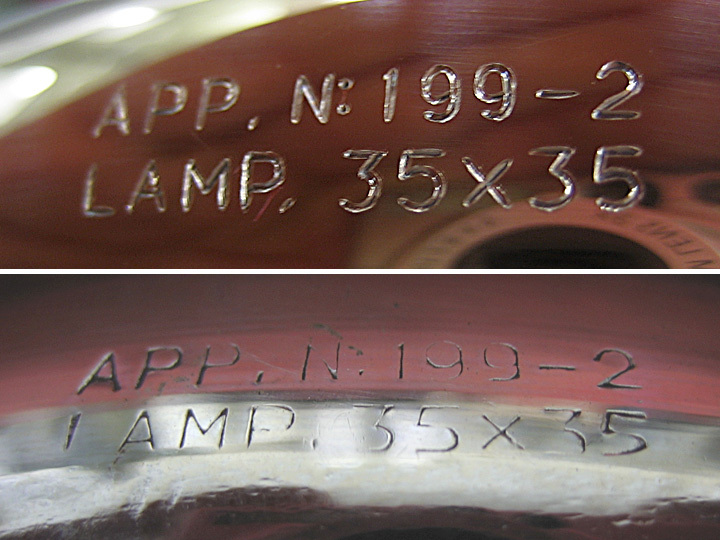 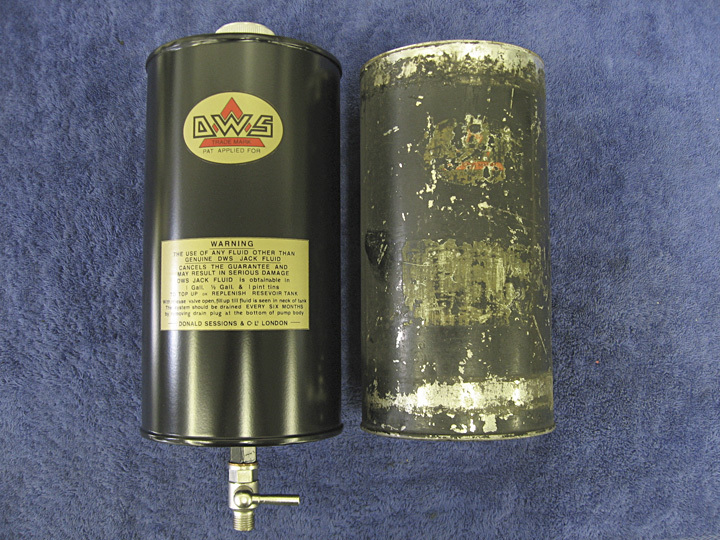 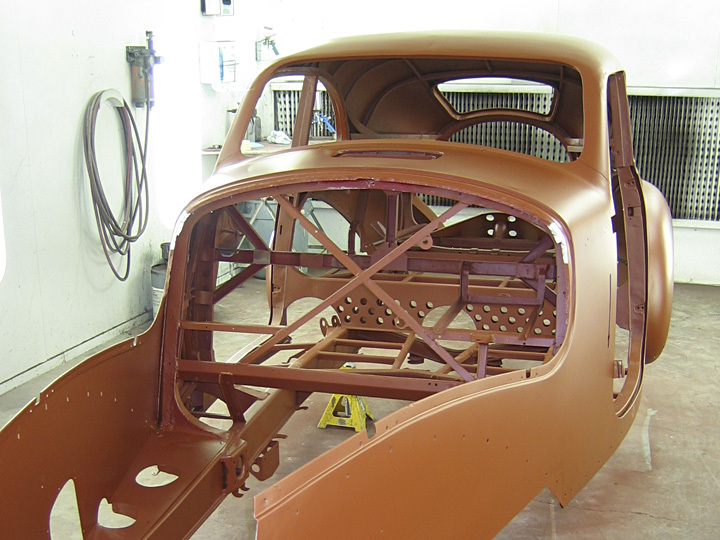 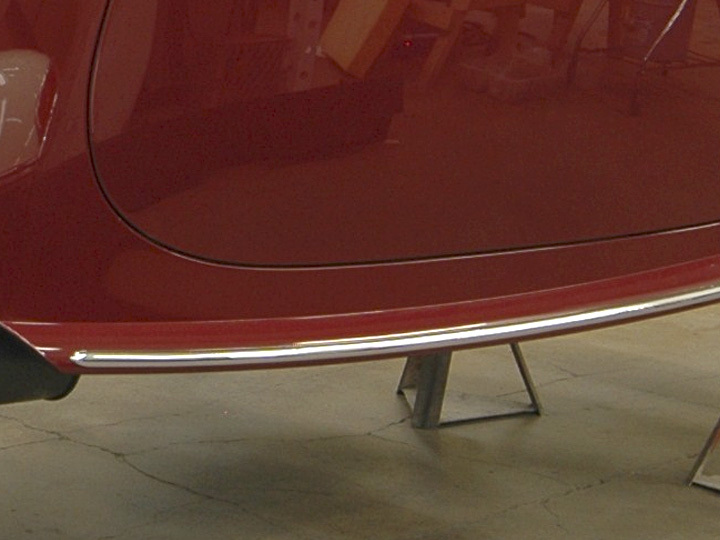 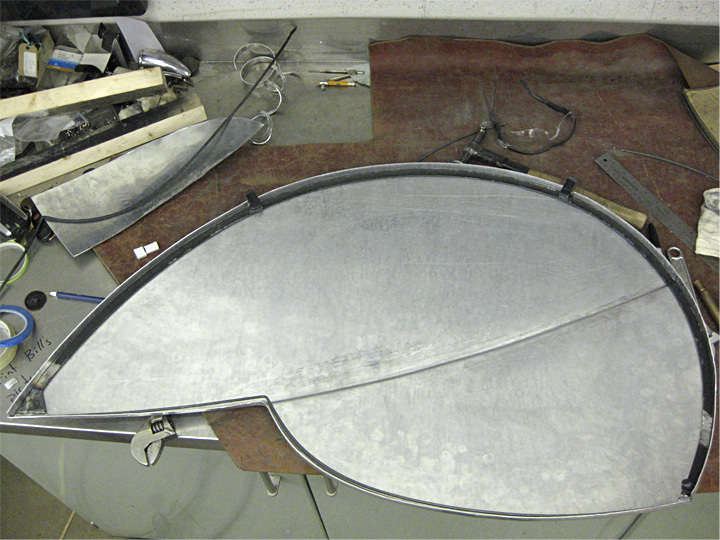 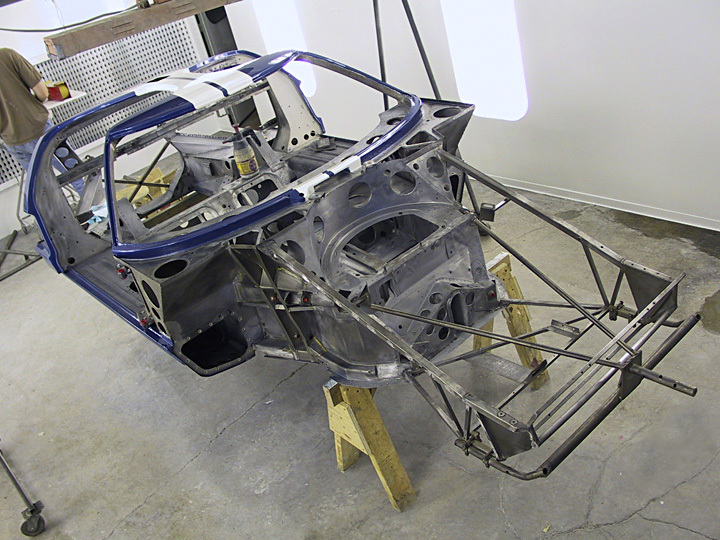 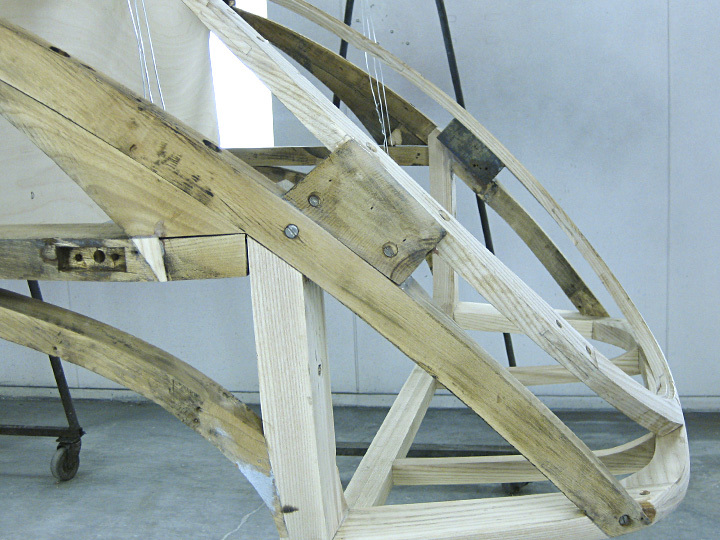 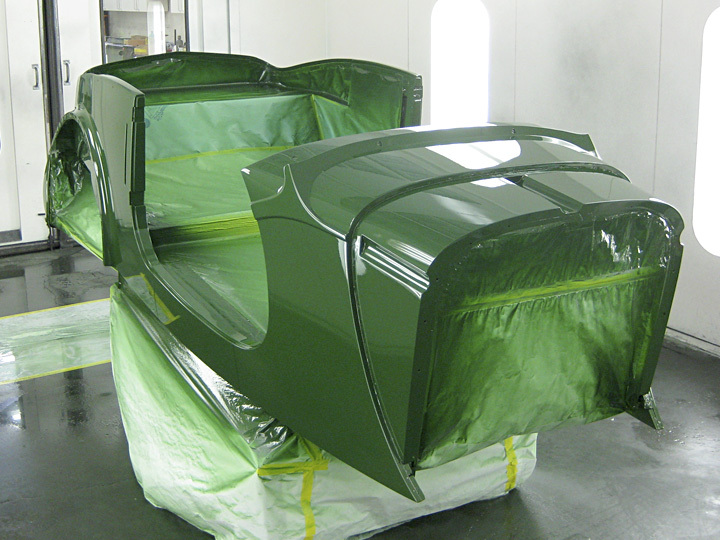 — As one of the most critical elements of a restoration, we work tirelessly to ensure an outstanding level of finish. 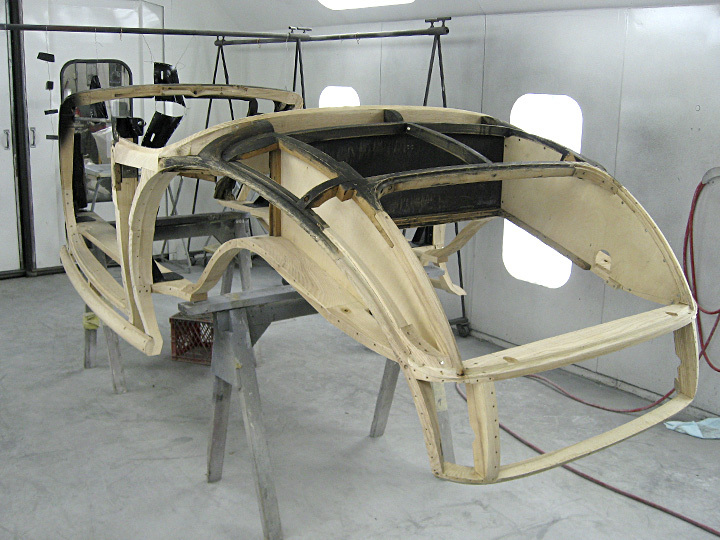 We only work with quality, proven products to be sure that the completed automobile continues to look good for many years to come. 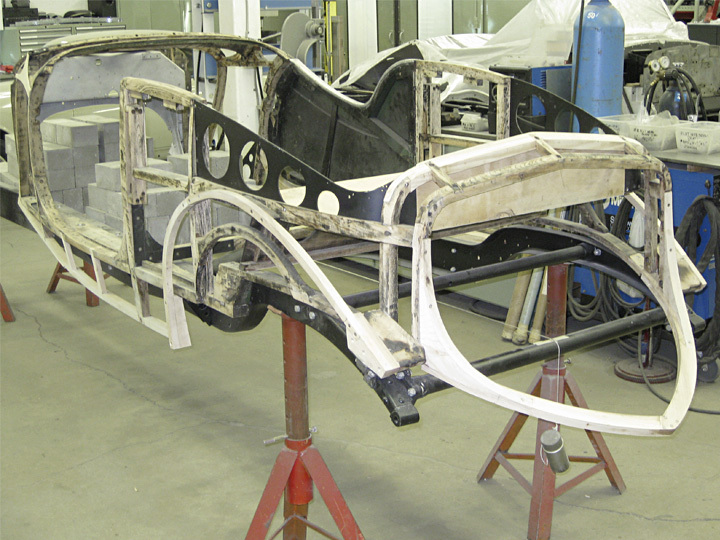 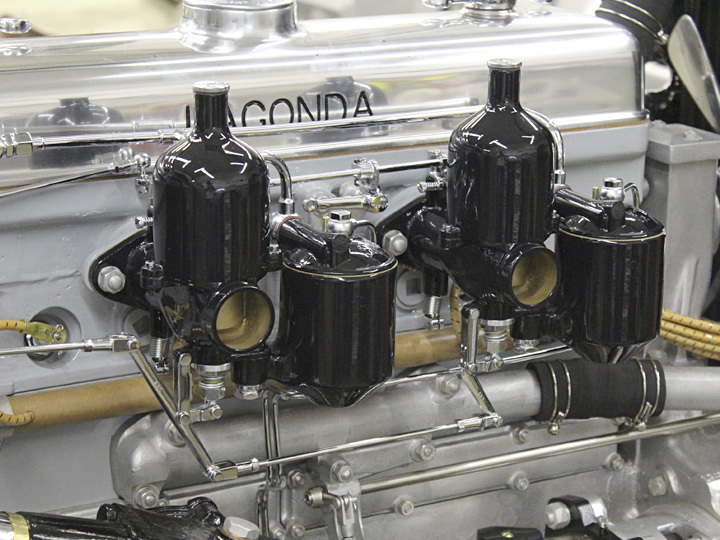 Mechanical & Assembly — As these are automobiles first and foremost, they must function. 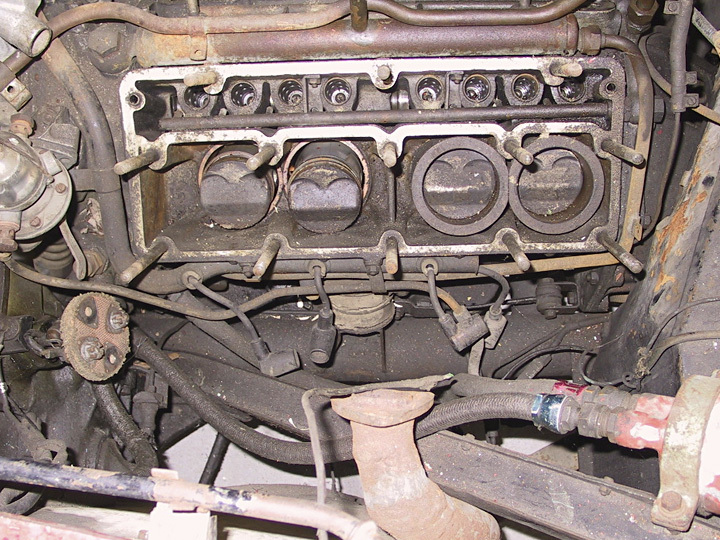 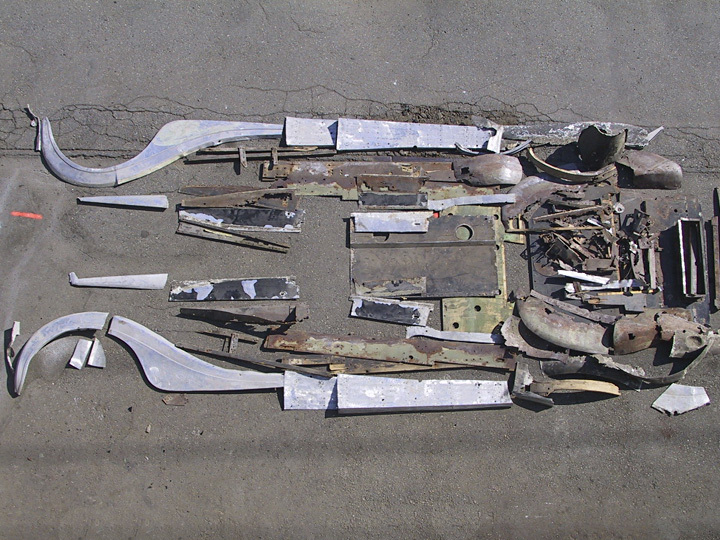 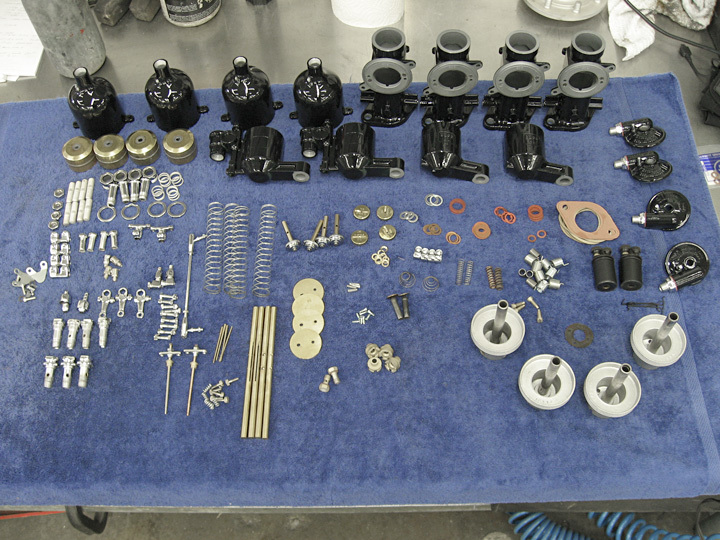 Each of the many small parts that make up a running car is stripped down, cleaned and rebuilt. 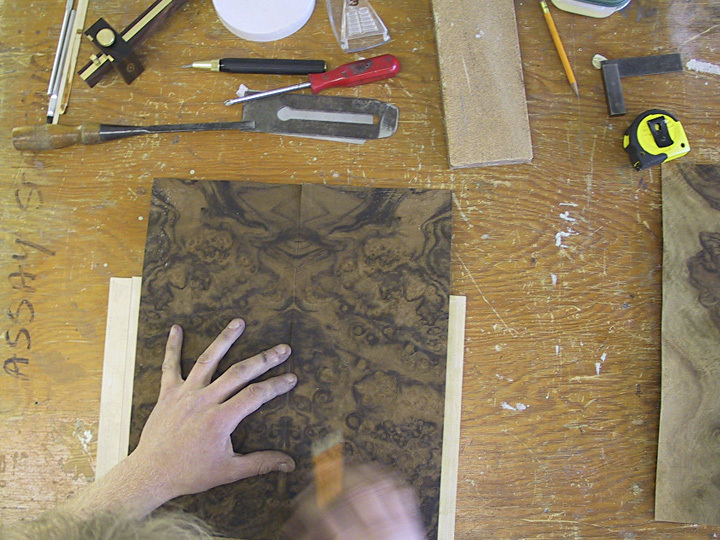 The result is a work of art that is as nice to use as it is to look at. 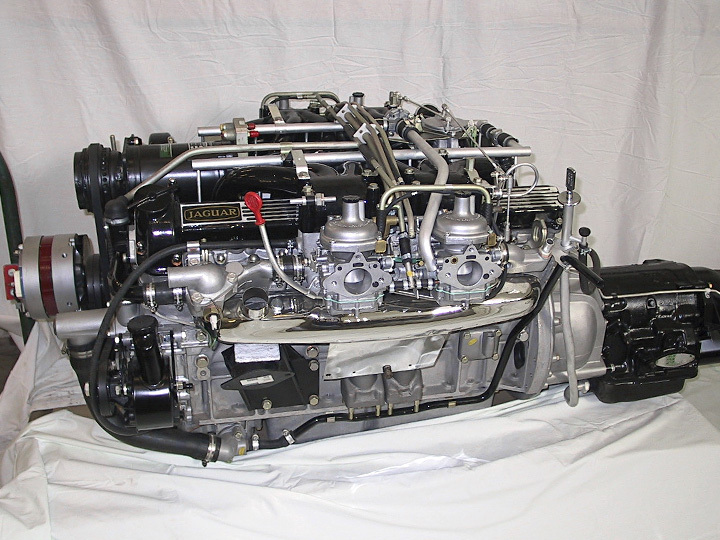 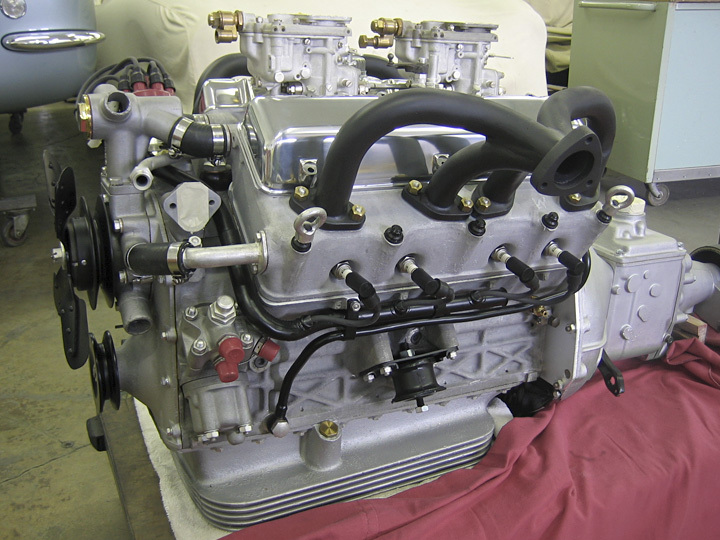 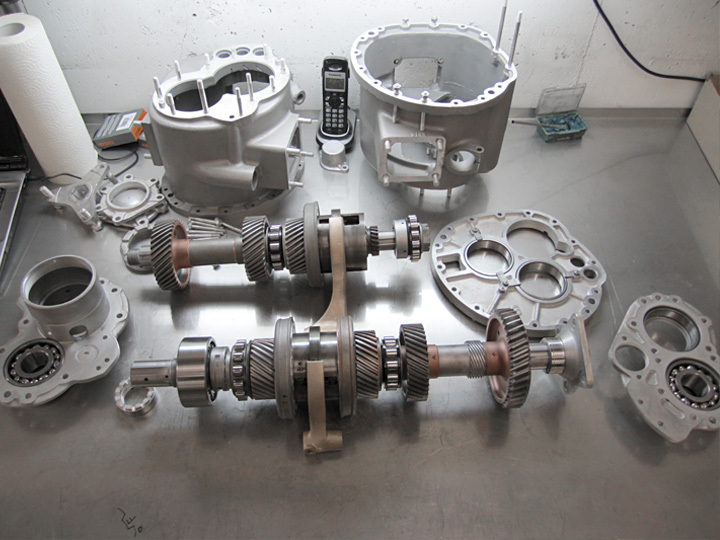 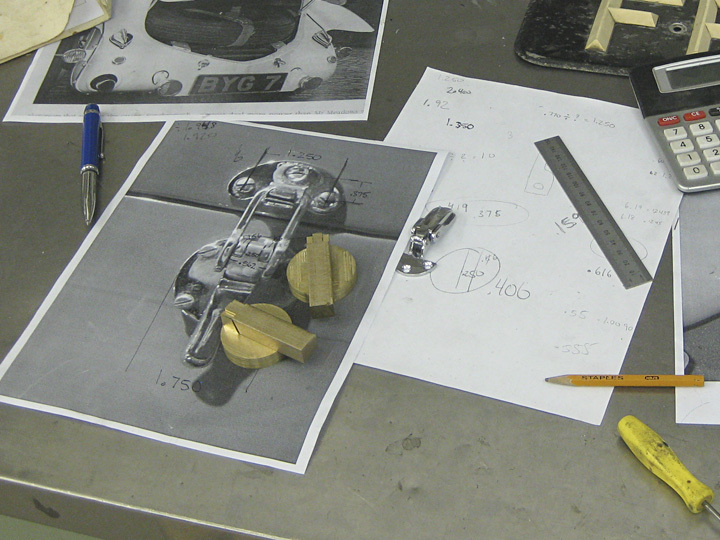 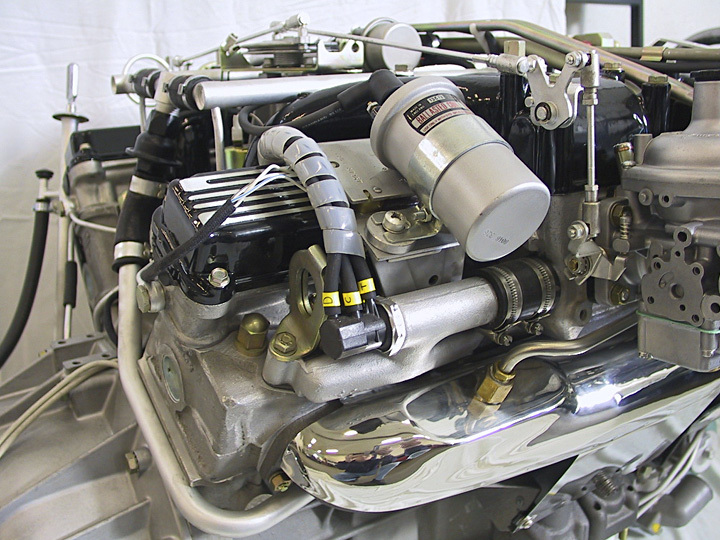 The engine, transmission and suspension are all rebuilt on site as are all associated parts. 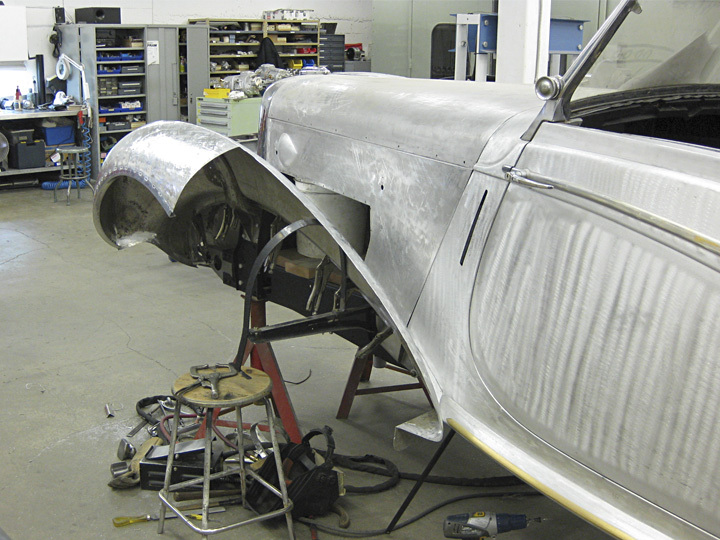 After completion the vehicle is driven to make any final adjustments. 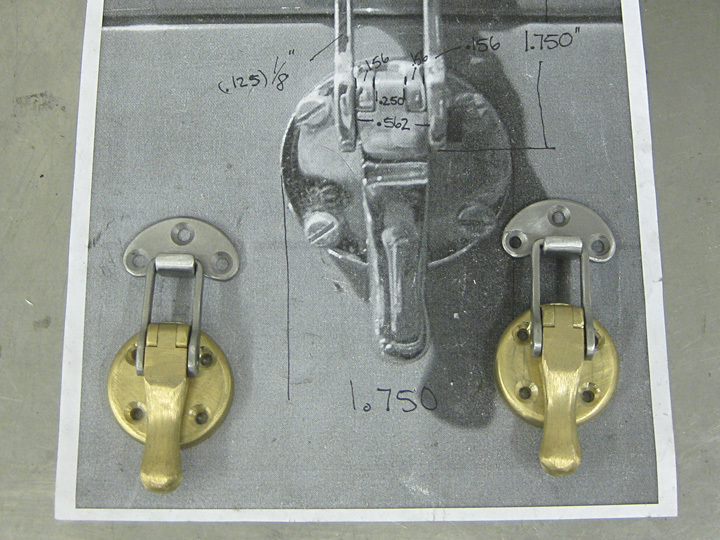 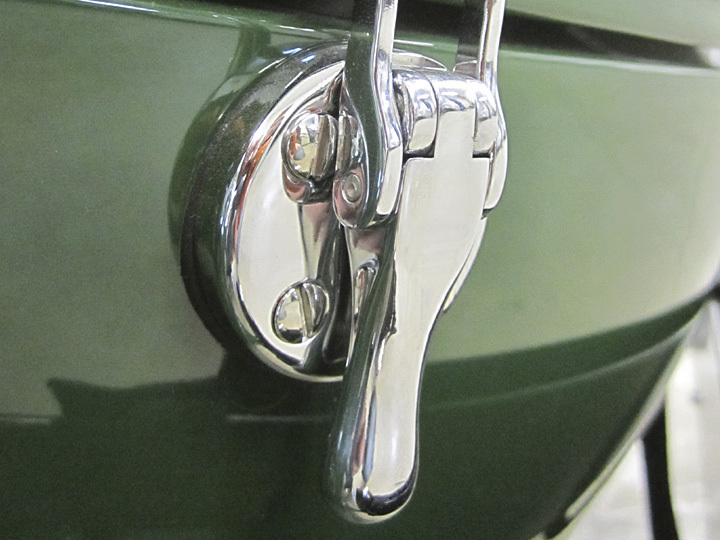 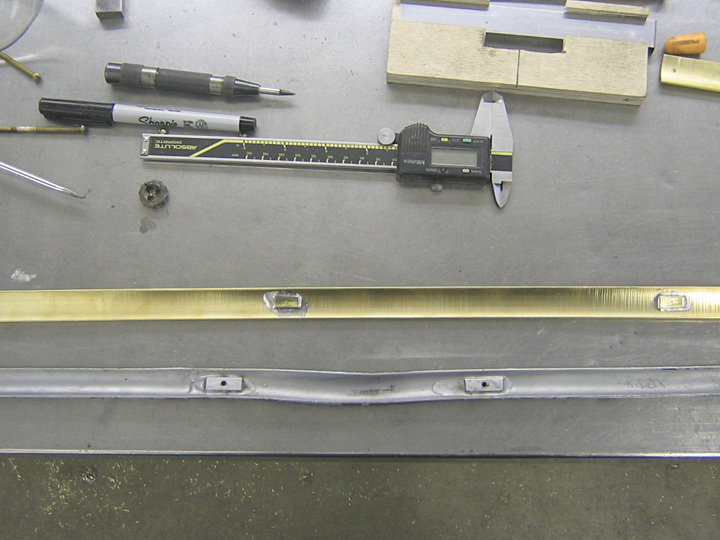 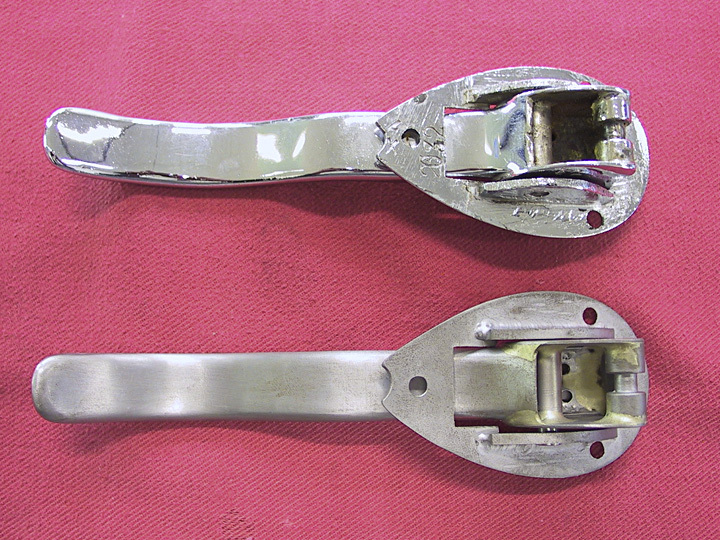 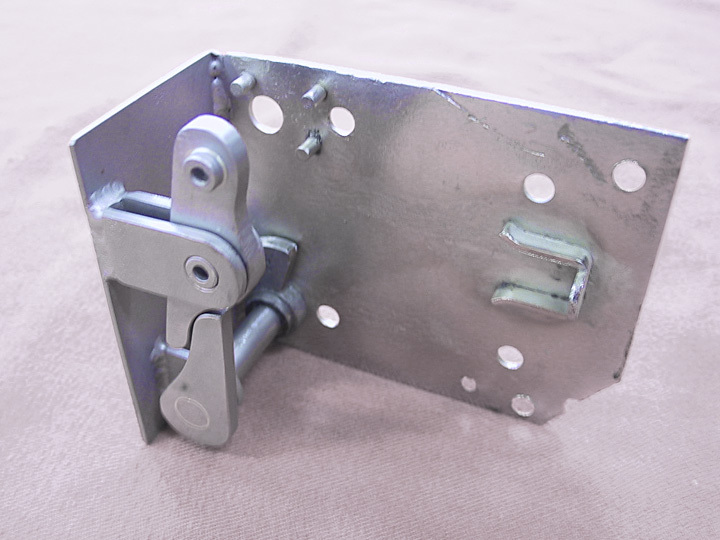 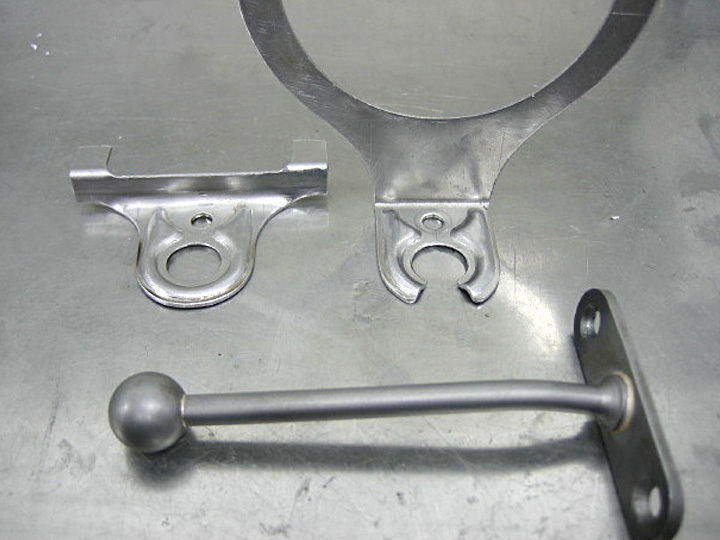 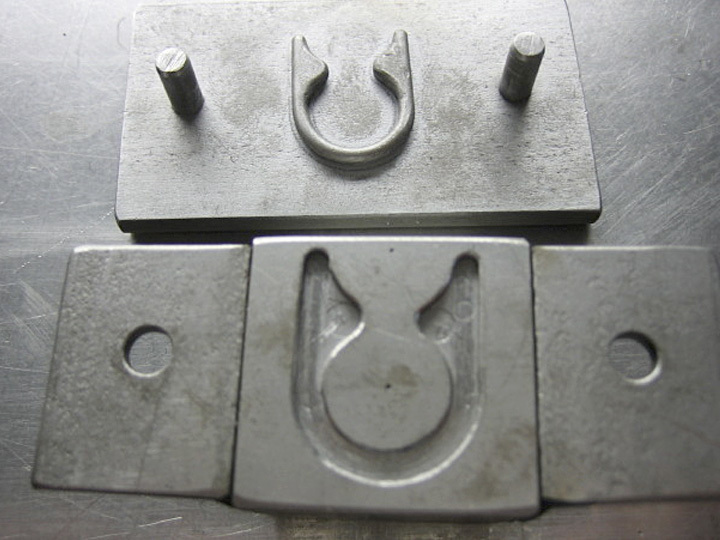 Small Part Fabrication — With a full machining facility in-house we can create the various parts as needed from door latches to period correct nuts and bolts... it's all in the details. 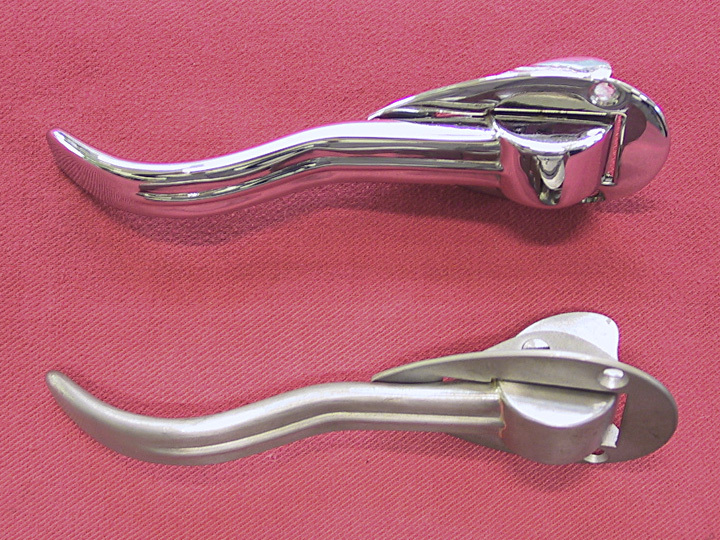 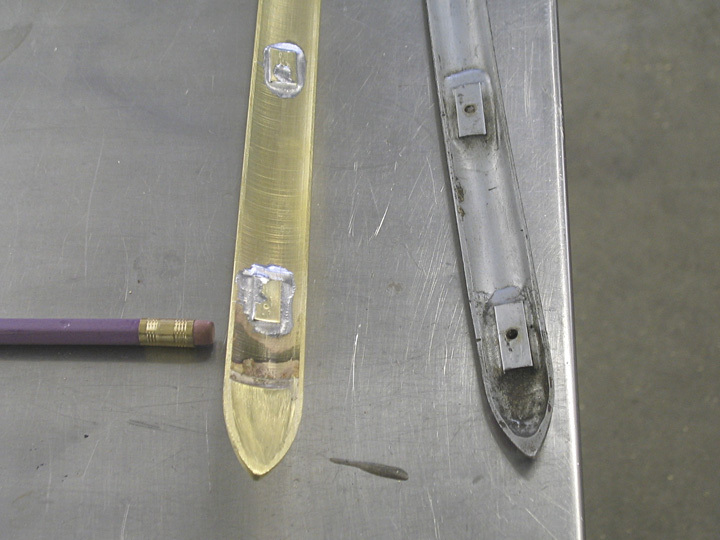 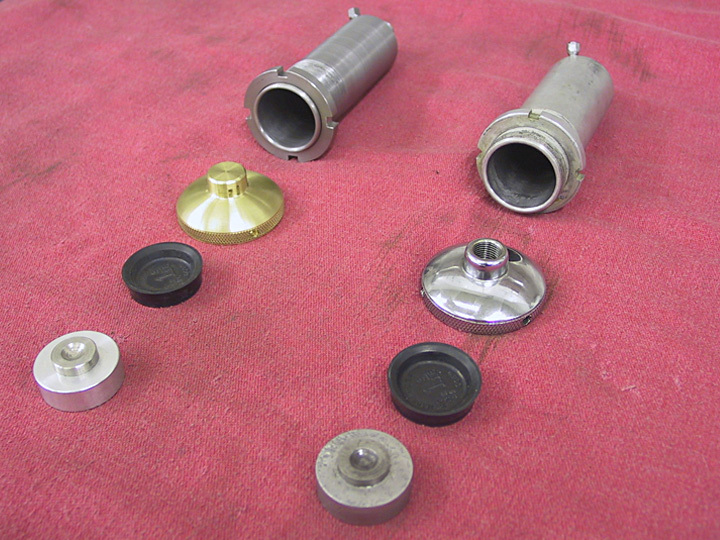 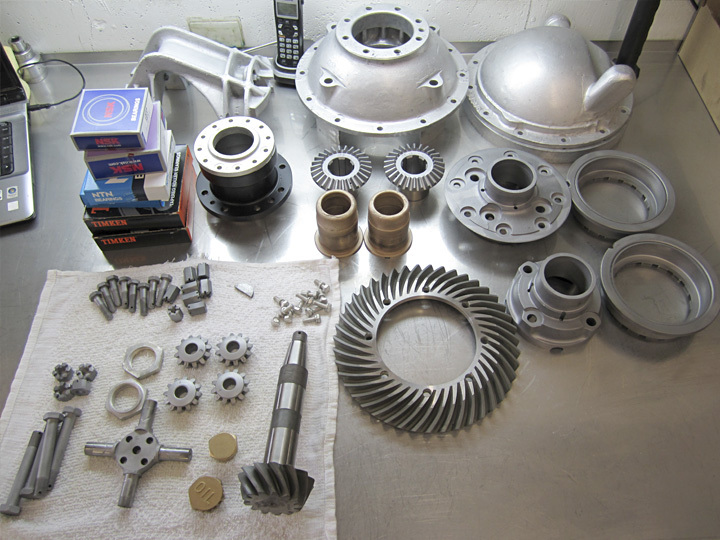 Part Refinishing — From rough casings to finished polishing, we have the skill and ability to provide a wide variety of finishes. 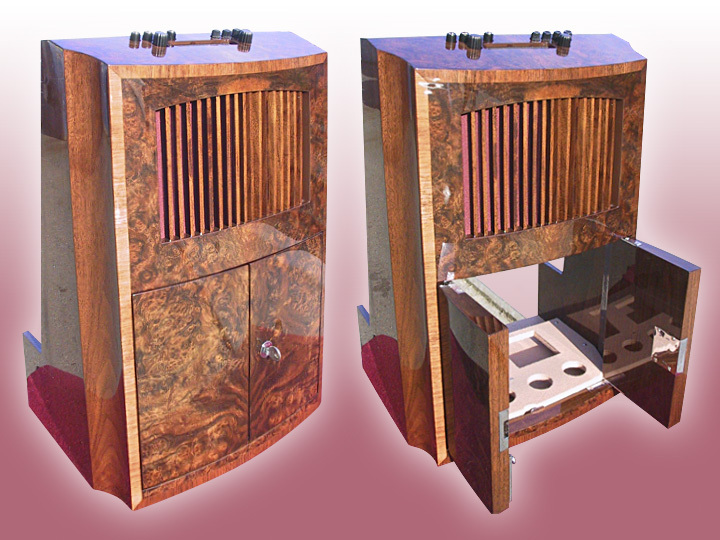 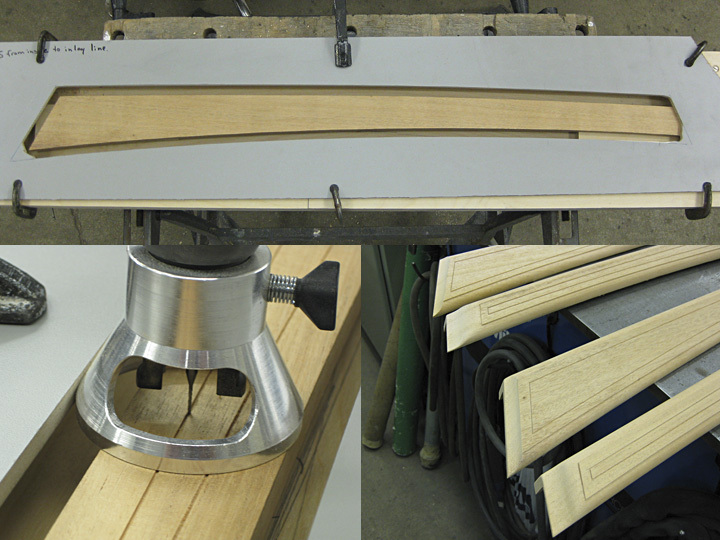 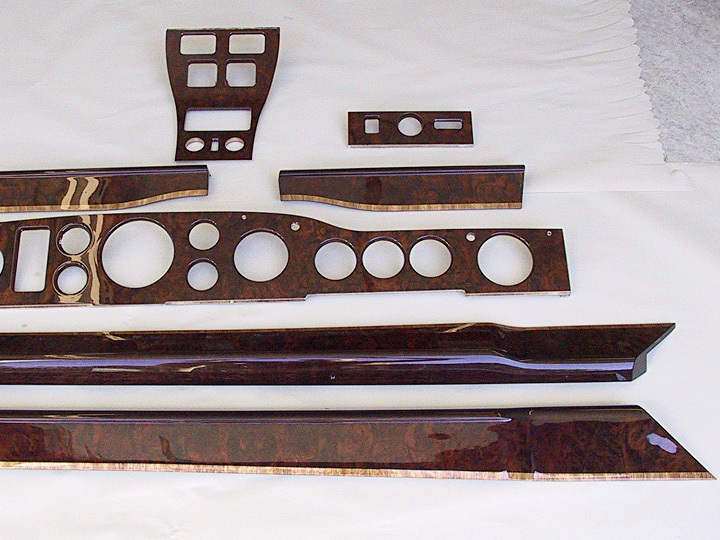 Cabinetry and Veneering — From dashboards and door caps to complete bar cabinets and picnic trays, we have the ability to repair or replace the necessary parts as needed including the various veneers and inlays. 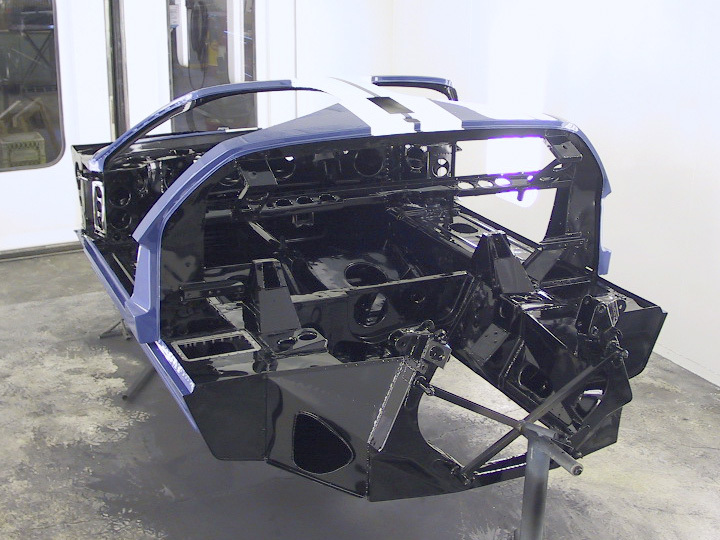 In the event that a specific task or part needs to be sent out for further attention, we have a select group of specialist companies that we deal with. 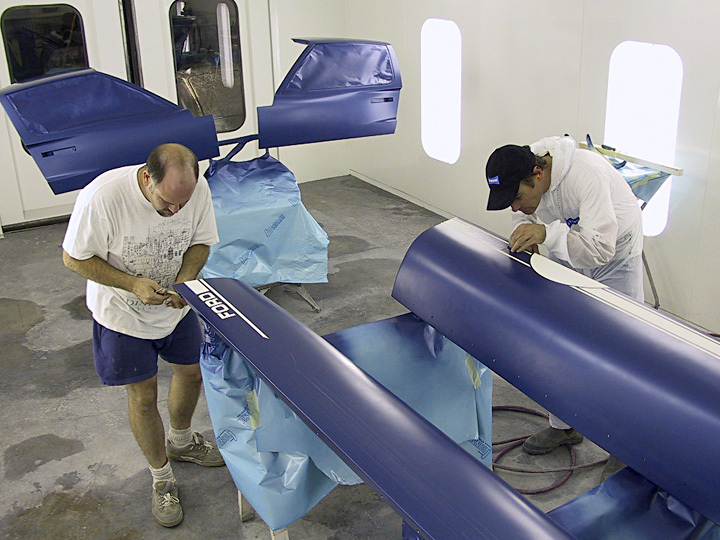 We only work with those that have demonstrated an aptitude and attitude that is far above the norm, and have proven their ability to create a final product that meets or exceeds our expectations. 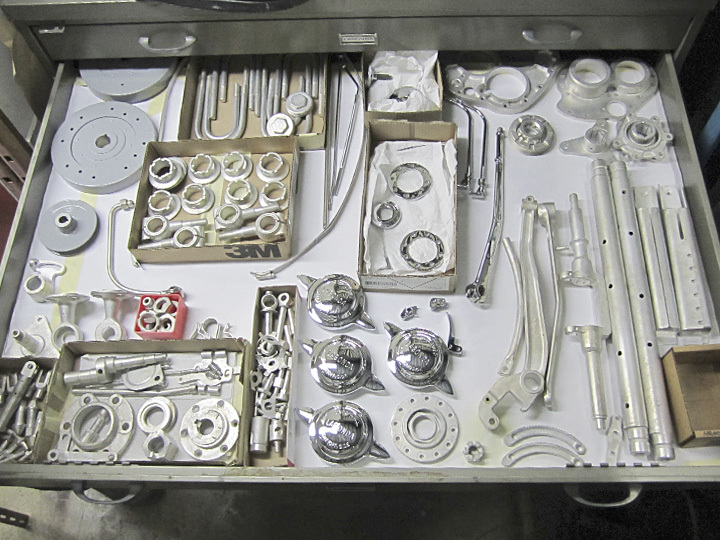 Plating — We've dealt with the same plating facility for our cad and chrome since 1994 and have a very good working relationship. 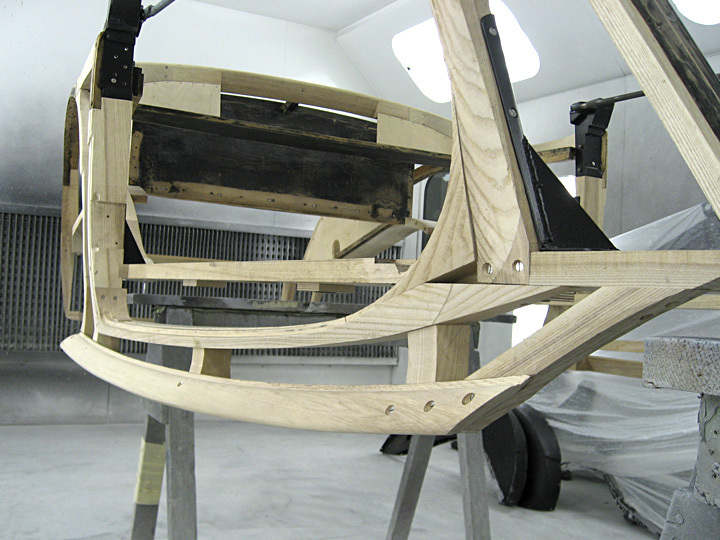 Upholstery — We are fortunate to have a very talented upholsterer situated in the same building who trained in old world techniques — horse hair and jute, hand stitching etc. 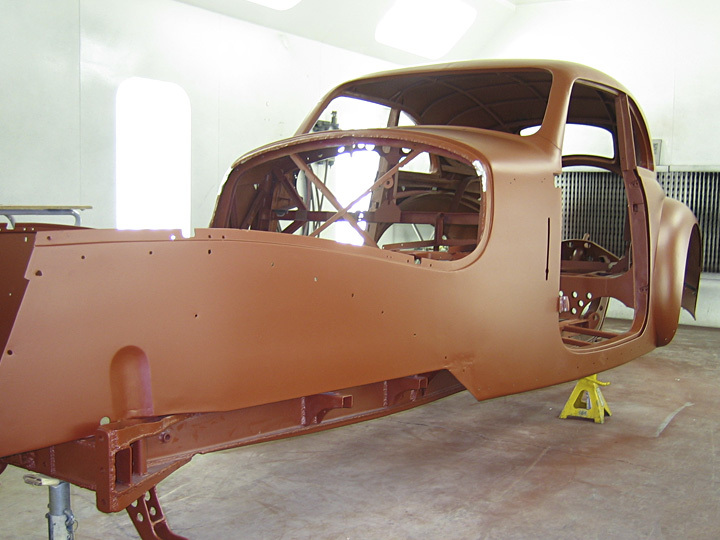 This allows work to continue seamlessly and without the associated risk of transporting a partially completed vehicle. 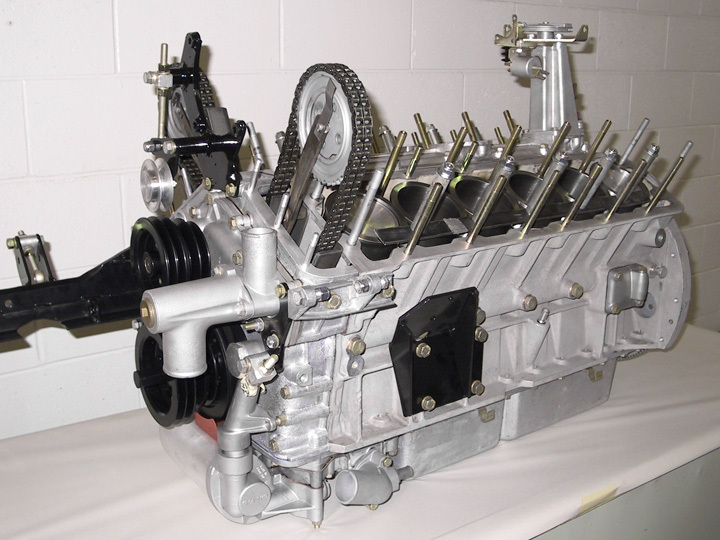 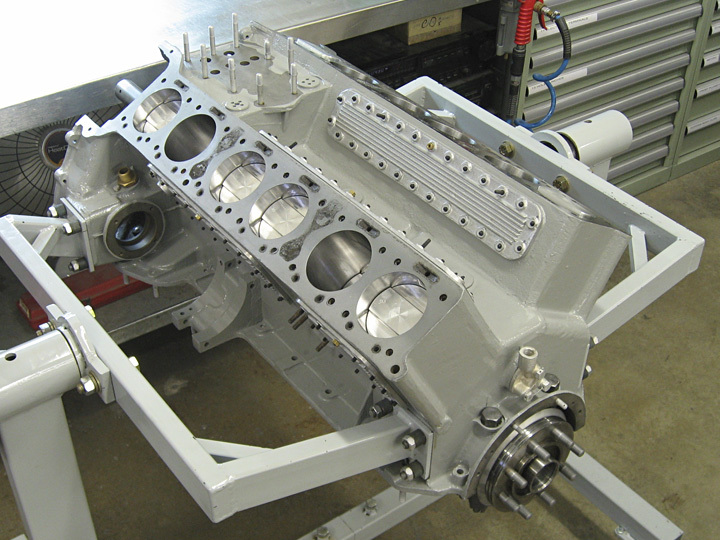 Engine Machining — Our machine shop is able to think outside the box allowing them to correct issues that arise when working with parts that can be 75 — 100 years old. 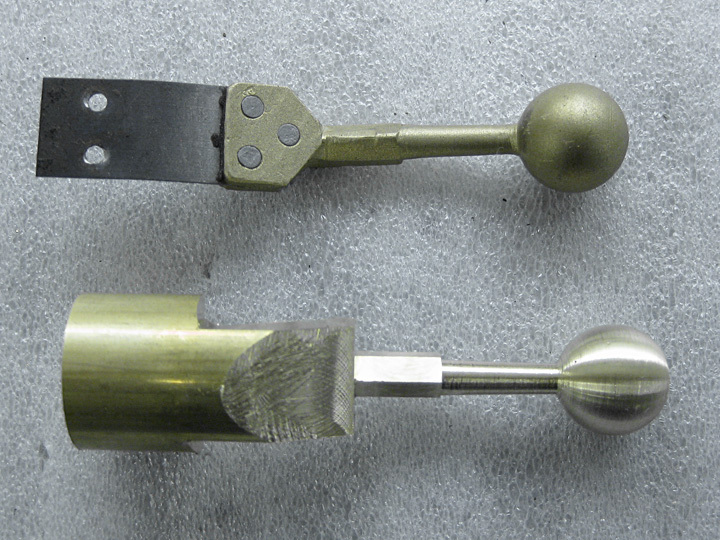 Specialist Machining — For critical parts such as steering uprights, we have a relationship with a military aerospace supplier who can produce exacting parts, safely. 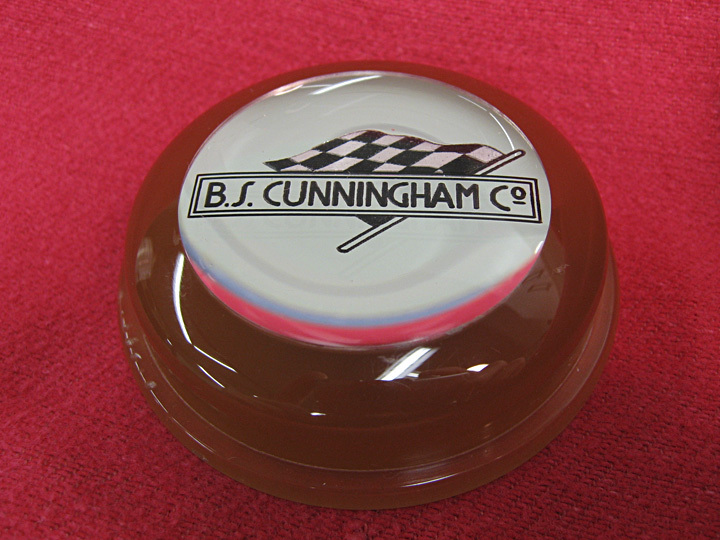 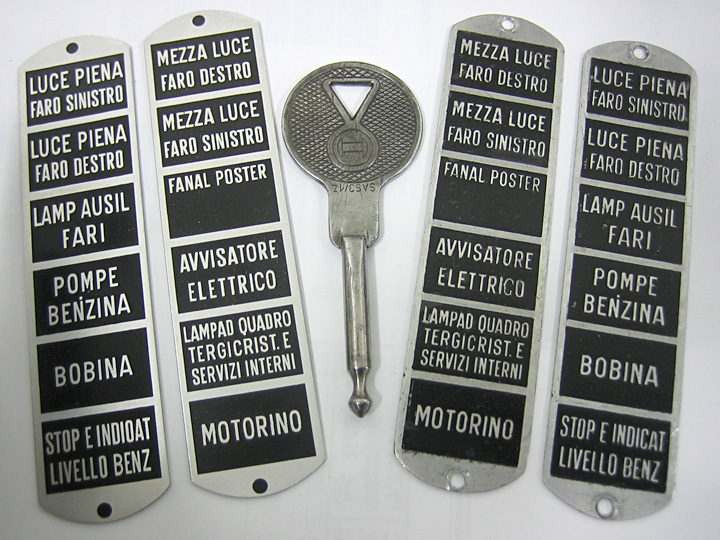 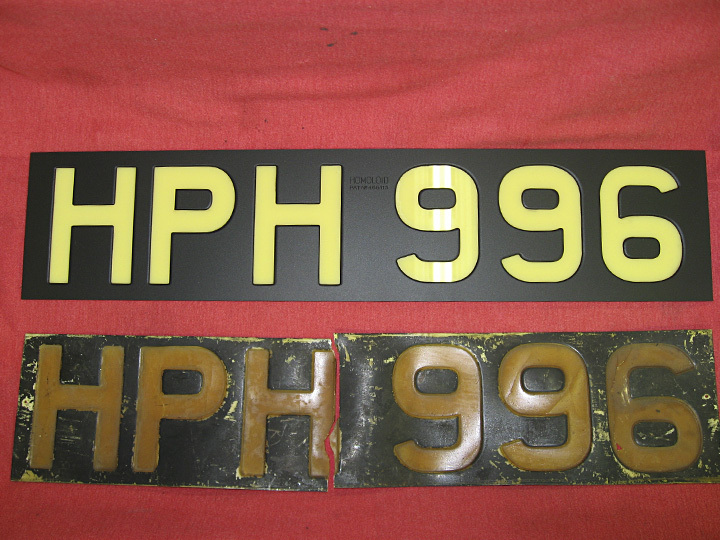 Graphic Artist — Accurately reproducing vintage decals and plaques requires a special talent, one that understands the look and feel that needs to be achieved. 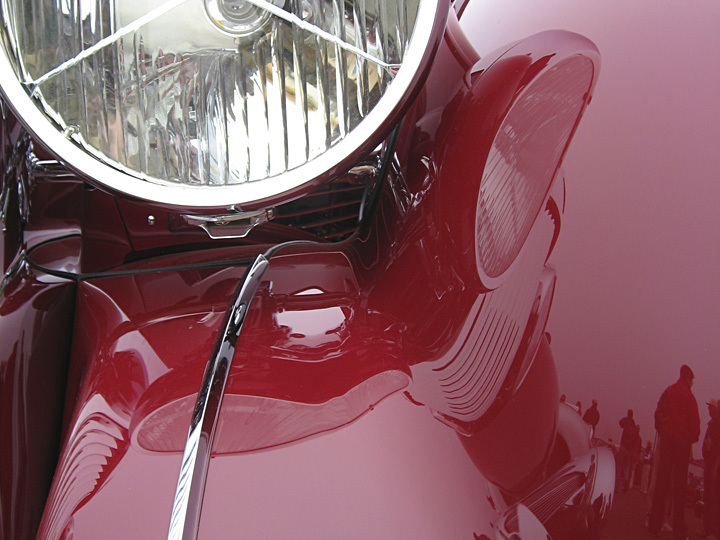 After having your vehicle restored, servicing should not be a concern. 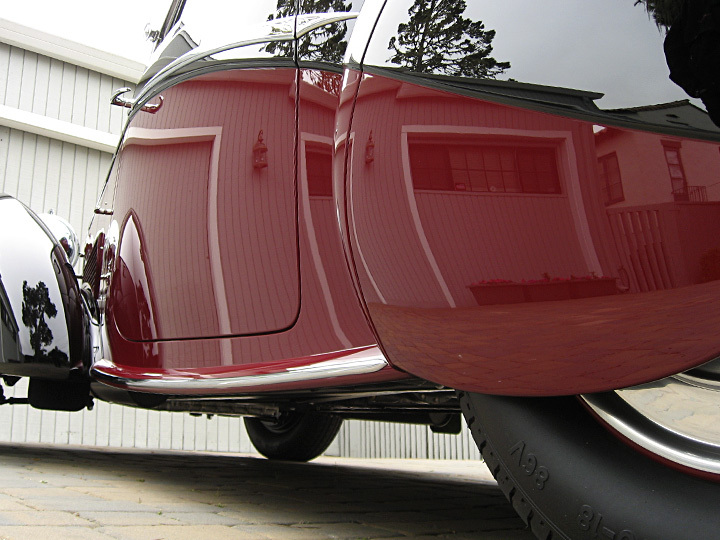 We offer full service and repair support on all vehicles that have been restored by RX Autoworks, allowing you to enjoy your vehicle as it was intended.